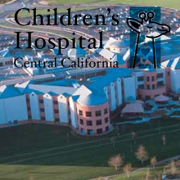 MADERA – The Children’s Hospital Central California Adaptive Sports Program will add new sports equipment thanks to a $1,500 Quality of Life grant from the Christopher & Dana Reeve Foundation. The awarded funds will purchase new tennis racquets, tennis balls and basketballs, allowing the Adaptive Sports program to offer expanded recreational and athletic experiences for those with physical and health impairments and conditions ranging from cerebral palsy to spinal cord injuries. “This grant will provide our patients with sports equipment so they can take part in more athletic activities, build their confidence and achieve their dreams,” said Adaptive Sports director Dr. Jennifer Crocker. The award was one of 102 grants totaling over $500,000 awarded by the Reeve Foundation to nonprofit organizations nationwide that provide more opportunities, access, and daily quality of life for individuals living with paralysis, their families and caregivers. Created by the late Dana Reeve, the program has awarded 2,307 grants totaling over $17 million since 1999. The Christopher & Dana Reeve Foundation Quality of Life grants program was conceived by the late Dana Reeve to address the myriad needs of children and adults with paralysis and other mobility impairments and their families. Grants support critical life-enhancing and life-changing initiatives that improve physical and emotional health and increase independence. Funded projects offer a diversity of services and approaches: improving access; providing education and job training; sponsoring organized sporting activities; and much more. Quality of Life grants are funded through a cooperative agreement with the Centers for Disease Control and Prevention.